Dr. Yum is one of the less than 5% of dentists who are specialists in pediatric dentistry. She has been in the dental field for over 20 years and has been practicing since 2003. She started working as a dental assistant while attending Northwestern University in the mid-to-late 90’s. She then moved onto dental school at University of Maryland. Dr. Yum earned her certificate in pediatrics at Children’s Memorial Hospital which is now Lurie’s Hospital of Chicago. She was selected 1 of 2 residents out of 900 applicants. She is the founder of Yummy Dental & Orthodontics for Kids for 2 locations in the Chicagoland area. Dr. Yum has appeared on the TODAY Show on NBC nationally and on NBC Chicago as a repeat guest. She has also been featured nationally in Parents Magazine, Parenting Magazine, on Yahoo! and locally in Chicago Parent Magazine, which described her as one of the best and most fun pediatric dentists in Chicago. 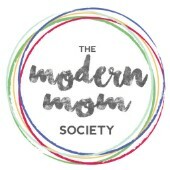 The Modern Mom Society Podcast Episode 3: On starting dental care for your children, how to prevent cavities, preparing your child for visits to the dentist, when to start orthodontia & more!